Eric Powell has gained prominence in the comic industry mostly due to his creator-owned work, the Goon. The Goon began publication in 1999 from Avatar Press and then later moved to Dark Horse Comics, where it’s still published today. 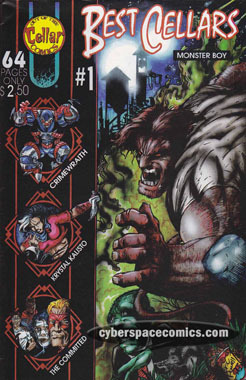 But, years before the first issue came out, Eric Powell (at the age of 20) debuted a Goon prototype called Monster Boy in the anthology book, Best Cellars, which was published by Out of the Cellar Comics in 1995.